The impact of hurricane Matthew on insurance-linked securities (ILS) players will vary by fund, but could result in minor negative hits to returns during October, according to analysis from Milliman’s Aaron Koch. Director, Insurance-Linked Securities Group, P&C Division Consulting Actuary at Milliman, Aaron Koch, has explored the potential impact hurricane Matthew could have on the valuation of ILS funds, as loss estimates continue to be assessed for the storm. Reports from various risk modellers, and individual loss estimates from insurers and reinsurers continue to filter into the market after hurricane Matthew battered parts of the Caribbean, before finally making landfall along the U.S. coast as a Category 1 storm. For the most part, the overall insurance and reinsurance loss estimate for the event is between $4 billion and $6 billion, a figure that would have been far higher had the storm made landfall along the Florida coast during its stronger phase, which, for some time was forecast to happen. Despite the reduced re/insurance industry loss estimate, it’s expected that some ILS funds will be impacted by the storm, albeit only slightly, and Koch has provided some insight into what the impact of the storm could mean for the valuation of certain ILS funds. Based on the impact profile of the storm, Milliman, explains Koch, “expects two sets of loss impacts to ILS fund valuations based on the storm,” being minimal realized losses on collateralised reinsurance per-occurrence layers and sidecars, and, slight writedowns on collateralised reinsurance aggregate layers, and aggregate ILS transactions. “We might expect a minor to moderate amount of losses on the lowest layers of collateralized reinsurance programs,” said Koch. Influencing this, Koch continues to explain, is the volume of economic loss from Matthew that is subsequently excluded by residential policies owing to much of the storm’s damage being driven by flooding, which is covered by policies via the National Flood Insurance Program (NFIP), or uninsured all together. Furthermore, how exposed an ILS fund is to Florida-exclusive writers against those that are diversified throughout the Southeast, which could result in being exposed to a broader range of Matthew’s impact, explains Koch, will also contribute to ILS fund valuations. Thirdly, Koch cites that the storm’s impact on the Caribbean, including the Bahamas and Haiti which were severely impacted by the event, suggests that any limits underwritten in the region would also increase or reduce exposures. ILS funds/managers and investors have grown in sophistication in recent times, and along with their willingness to expand into new risks and regions, more and more ILS transactions face the risk of being exposed to a broader set of catastrophe events in various parts of the world. 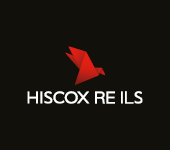 This underlines the need for investors to really understand the exposure of their investment in the ILS space, something that appears evident in the sector and has likely contributed to the increased maturity of the ILS world as a whole. But the fact is that the more ILS spreads its wings across the risk transfer landscape, the more likely funds will be exposed to a greater set of risks in a broader range of geographies. “Even if Matthew is not itself strong enough to trigger a loss to certain catastrophe bonds, ILWs, and collateralized reinsurance contracts with aggregates, we do expect that it will often exceed these contracts’ deductibles (in either standard or franchise form) to accrue a portion of the loss needed to erode the aggregate retention,” continued Koch. What this means, explains Koch, is that contracts are more vulnerable to suffering a loss through the remainder of the contract period, owing to the erosion of some of the aggregate retention, suggesting that these types of contracts could see a minor negative impact from Matthew. Interestingly, Koch explains that the timing of hurricane Matthew also plays a part in the potential impact to the valuation of ILS funds, stating that its late occurrence in the 2016 Atlantic hurricane season means there’s less of a chance for further wind events in the U.S. driving losses above the aggregate retention. “As such, we can expect Matthew’s negative impacts on fair value estimates to be relatively small and to reverse quickly back up to full value assuming that no further events occur this year,” said Koch. Comparison of theoretical June and October hurricanes on an aggregate contract - Source: Milliman Inc. 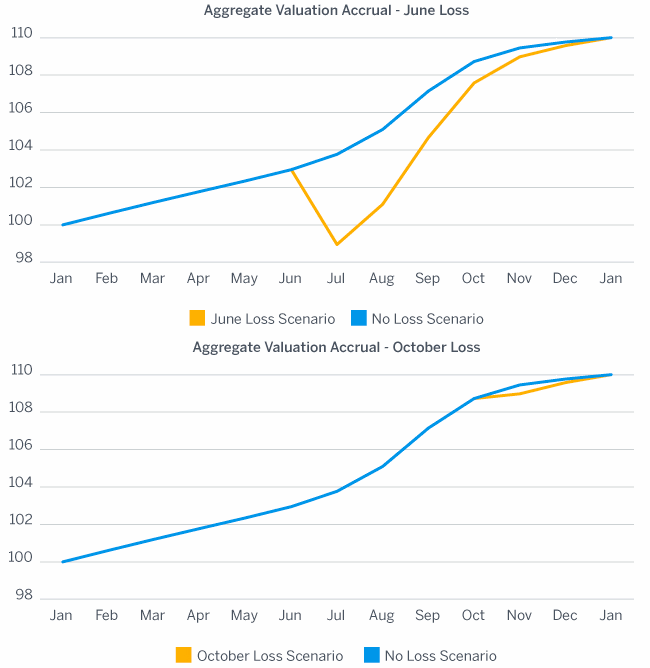 The above chart shows the theoretical difference that a storm in June and October can have on an aggregate contract, and was provided by Milliman. “We expect the impact from Matthew to vary by fund. Overall, we might expect slight negative hits to returns in the month of October, followed by slightly above-expectation returns in November and December, assuming that there are no significant follow-up events,” concludes Koch. Milliman’s analysis backs up expectations that it is working layer contracts which are most at risk, of which the collateralised and ILS markets do participate in a few, as well as aggregate transactions. However the expansion of the ILS sector, into sidecars, reinsurance quota shares and partnerships with primary insurers sees the sector, “increasing the chances of a non-zero exposure to Matthew even as the exposure to a major, right-tail loss event is reduced. increases the chances of exposure to events such as hurricane Matthew,” Koch explains. But despite the exposure to catastrophe events of the magnitude of hurricane Matthew, Milliman feels the event is unlikely to shake reinsurance and ILS markets and losses will be manageable.